I have no idea what’s keeping “Homeland” together right now. Each story seems to constitute its own separate show. It’s about time some character came in, “Lost” style, and declared that everybody needs to go back. I’m pretty sure Matthew Fox is actually looking for work. The one common factor keeping everyone together this season is a feeling of imprisonment. Tonight’s episode is called “Game On” but it feels more like a groan than a game changer. This is the episode where everyone tries to run away. Some found great success (Carrie), while others found themselves walking into yet another trap (Dana). Speaking of which, let’s talk about Dana. She’s the easiest character to hate on the show. She’s the worst person ever on the whole planet, according to that one person who can’t get people to listen to them unless they are in an Internet comments section. Anyway, I’ve never totally hated the character of Dana. Morgan Saylor did some amazing work two weeks ago when she thought that for once she was completely content. However, if the writers happen to put her in the wrong situation, then she can become grating. Again, it is the fault of her circumstances, and not Dana personally. This week, Dana and her boyfriend ran away in what seems like an imminent sequel to “Natural Born Killers.” Once again, Dana has another bad boyfriend. She finally thought she found someone as messed up as her, but it turns out she found someone even more messed up than her. I would love if she would just catch a break at this point, but then again, this is a drama. Meanwhile, Carrie is still in the psych ward. After witnessing the struggle of another female patient, she’s all like “LOL time to go!” Her words, not mine. From this point forward, I am giving up on explaining the plot in a straightforward fashion, because I still am not even sure what just happened. And I don’t mean that in an awesome David Lynch way. This week, everything was both completely figured out and more muddled than ever. The reason I stick with “Homeland,” no matter what wrong turn it decides to take, is that it is one of the most adventurous shows on television. It always strives to do the thing that you don’t expect it to do. Then, once it backs itself into that incredibly insane corner, it takes Saul’s advice and lets all the pieces fall together. This week, “Homeland” nearly had the puzzle all together. Then, at the last minute, it decided to blow the whole puzzle up and twirl its evil mustache. 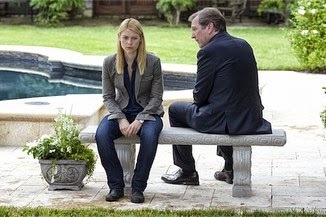 While there are still multiple stories that need to be connected for “Homeland” to function properly again, it is comforting to know that at least Saul and Carrie are together again. Not like that kind of together though, you sickos. I still don’t know how I feel about the way in which the show got the two of them back together. At one moment did Saul recruit Carrie as an undercover agent? Did she basically feign insanity and go back into treatment in order to get Saul the information he needed? Saul is right, Carrie is very, very brave. No matter how crazy she might get, or how much money she will steal out of another man’s wallet, Carrie will do whatever it takes to stop the bad guys. The whole ruse, however, felt like too easy of a fix. It felt more like a convenience than a truly well thought out way to move the show forward. Twists that pull the entire rug out can be good, but they can be problematic if they completely alter the meaning of everything we’ve seen before it. “Homeland” tried really hard this week to pull itself out of neutral. However, it tried just a bit too hard. I saw this episode a few days ago so a lot of my notes don’t make sense. I think I’m just going to copy down a bunch of them with no context whatsoever. I wrote that the Magician was dressed like Harry Potter in a photo Saul had of him. Makes sense. Harry Potter wore a scarf. Logic. I wrote “WE GET IT” in all caps. Still not sure why. I also wrote “Don’t eat the grape!” when Carrie was in Bennett’s house. 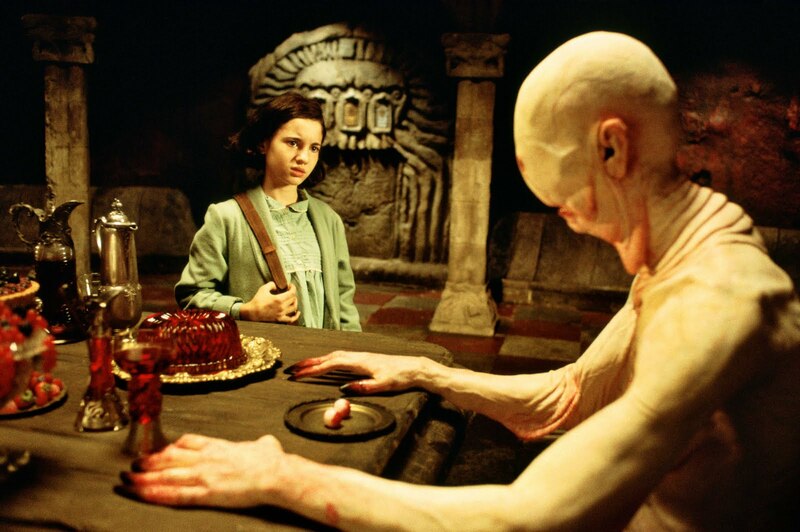 I just didn’t want her to incur the wrath of the Pale Man. This actually seems like a really good time for “Homeland” to be on the air. This season has been about the instability of bureaucracy. Brody’s presence was really missed this week. I want more Venezuela. Carrie is on the TSA’s no-fly list. Finally, she has something in common with Abu Nazir. The closing credit music is the most consistently good part of “Homeland,” and they took that away, too. The problem with plot-centric episodes: Where’s the essence of the characters? This entry was posted in Analog This, Claire Danes, Dana Brody, Game On, Homeland, Mandy Patinkin, Morgan Saylor, Showtime, TV Review on October 23, 2013 by ian0592.